This year, about 40 countries members of the Open Government Partnership (OGP) will prepare their new National Action Plans (NAPs) in collaboration with representatives of their civil society, which creates an excellent opportunity to help advance fiscal transparency around the world. As host of the OGP Fiscal Transparency Working Group, GIFT hopes to be actively involved in this process and will offer technical assistance, peer-learning opportunities, and other support to countries interested in designing and implementing commitments in this area. GIFT and its global network of governments, civil society, and multilateral organizations will be available to help countries from the the early stages - when they are deciding which commitments to include in their NAP and how to define its components - to the implementation phase, which starts right after after presentation of the commitments to the OGP. While there are outstanding examples of rapid increases in fiscal transparency among OGP countries, the Open Budget Survey has also spotted some examples of backsliding. According to a recent analysis by GIFT, about a third of all commitments created in the context of OGP have been about fiscal transparency and, of those, about half were completed or substantially completed. This shows, on the one hand, the need for more fiscal transparency, and on the other, the potential that the new NAPs represent. Governments or civil society organizations in countries preparing NAPs and interested in support by GIFT may contact GIFT Executive Director, Juan Pablo Guerrero directly. How Did We Use Public Input in Our New Principles on Public Participation? Murray Petrie, GIFT’s Lead Technical Advisor, explains in a new blog post the process and improvements made to our new Principles of Public Participation in Fiscal Policy using the input we received after the public consultation. GIFT’s Stewards have provisionally approved a revised version of the Principles and we are now preparing to officially publish them. We received nearly 30 individual responses from a wide range of sources. After collating and arranging them according to the principle they referred to, we integrated some of them and decided to leave others for the more detailed practical guidelines GIFT will produce later this year. Stay tuned! GIFT moved a step forward last month towards completing the new Open Fiscal Data Package, in partnership with the World Bank and Open Knowledge. The project’s Advisory Group met in Washington DC to review the progress so far and provide input for the final deliverables expected in the Spring. The project will allow BOOST, an online budget platform by the World Bank, offer new tools for the generation, manipulation, analysis and presentation of budget information in open data formats. BOOST has been used in close to 20 countries and, once the open data specifications and new tools are ready, a series of pilot projects will be conducted in about five of them in close collaboration with ministries of finance, civil society organizations and GIFT lead Stewards. You can read more about BOOST here and about GIFT’s project here. How is Transparency Doing in Vietnam? This is a promising year for transparency in Vietnam. GIFT Executive Director, Juan Pablo Guerrero, was in Hanoi in mid-January to join representatives from Asian ministries and national assemblies, civil society organizations and other experts to participate in the a workshop on budget disclosure and transparency, organized by the Center for Development and Integration. Teaming up with Joel Friedman, from the International Budget Partnership (IBP), he also met with representatives of the Ministry of Finance to explain the results of the Open Budget Survey for Vietnam. Of particular interest were the opportunities for transparency that the new (2015) Budget State Law represent. This law requires budget documents to be published, and establishes citizens' right to monitor budget issues and a channel to provide feedback. Given the good perspectives that a new access to information law will be approved in 2016, Vietnamese civil society organizations also discussed the possibility of exploring ties between Vietnam and the Open Government Partnership (OGP). 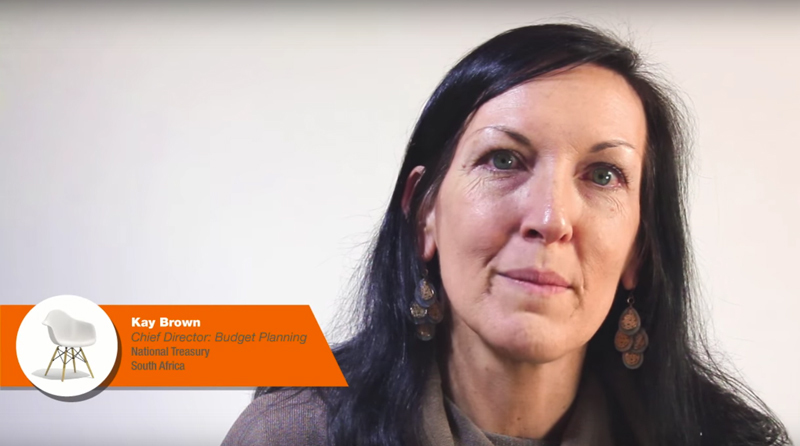 Kay Brown, from South Africa’s National Treasury, explains new plans they plan to implement to foster public engagement and fiscal transparency. as General Stewards. Find out who the are here! 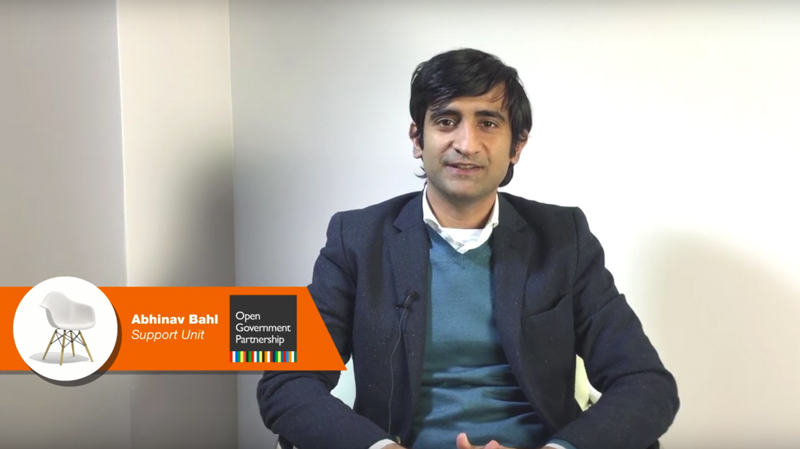 Abhinav Bahl, from the OGP Support Unit, talks about new opportunities for better fiscal transparency in 2016. Take a look!